3M is our best-selling Respiratory Protection! This Easy-To-Clean PAPR kit comes with everything you need to get started. 3M Versaflo Easy Clean PAPR Kit 3MMTR-600-ECK PAPR systems can be one of the most effective ways of protecting your breathing in work environments where air particles may harm or affect your respiratory system. Here at Enviro Safety Products, we offer respiratory protective systems, accessories and replacement parts from the best brands yet. 3M has developed the complete respiratory system, Versaflo Easy Clean PAPR Kit TR-600-ECK. Used for a variety of applications that include animal processing, chemical handling, food preparation, laboratory operations, patient care, health care, food processing, painting, lead battery manufacturing/recycling, powder loading and mixing & packaging. 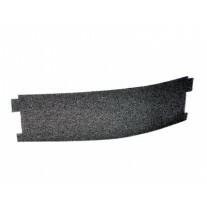 This replacement part is for use with 3M Versaflo TR-600 Series PAPRs. NIOSH approved. The TR-600-ECK is a complete Powered Air Purifying Respirator and includes every part & accessory required to get started. This PAPR Kit includes the S-433 Hood Assembly, TR-614 PAPR Assembly (includes TR-602N motor/blower, TR-630 Standard Battery, BT-30 Length Adjusting Breathing Tube, TR-627 Easy Clean Belt and TR-971 Airflow Indicator), TR-6710N (HE) Filter for particulates and TR-6700FC Filter Cover, TR-641 Single Station Battery Charger and BT-922 disposable breathing tube cover. 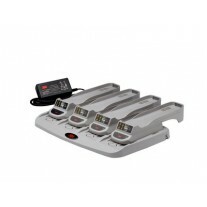 Designed as a ready-to-use kit to provide simplicity and easy purchase for complete PAPR system. Got this for myself for an early Christmas present. This is perhaps the best PAPR on the market - no other brand comes close to the safety and reliability of 3M. Heck, even no other 3M PAPRs can match up with the new Versaflo line.